I am a fan of the small stuff. As much as Iceland’s magnificent natural wonders and open vistas can stun and amaze, I sometimes feel like the real beauty of this country is incorporated in the things that you see when you look down; when you look closer. Like those tiny flowers that you find growing in the most cruel, barren places – black desert sand, or a tiny ledge on a sheer rock face. Flowers that, despite their fragility, defy the elements, and seem to say my vulnerability is my strength. Or this. The amazing artwork in the mosses and lichens you find growing on rocks, especially when you go high up on a mountain or a heath. So incredibly beautiful, this artwork of nature. I can literally lose all track of time examining and photographing such stones, looking at their little lines that trace up what sometimes looks like a map with hundreds of tiny countries. 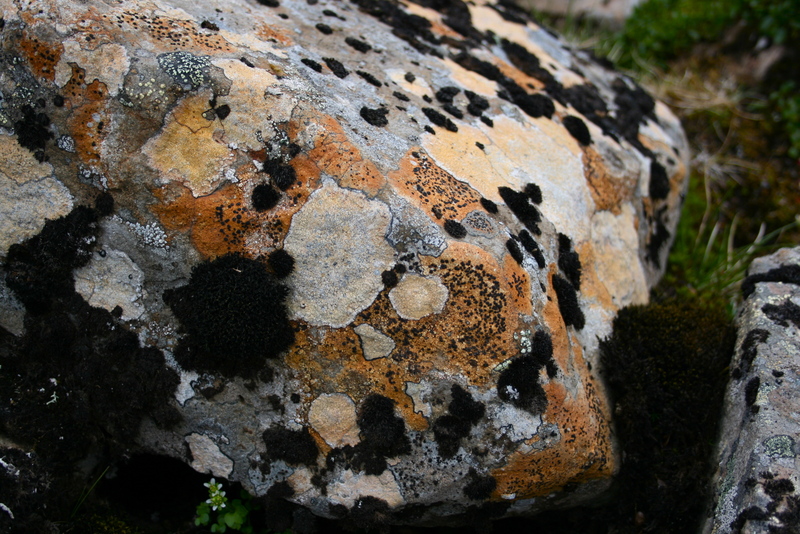 This photo was one of many I took up on a heath on the West Fjords, where each rock was more beautiful than the next. I wanted to take them all home – but then I remembered that their beauty would fade as soon as they were out of their natural environment. They were perfect, just as they were, and just where they were.